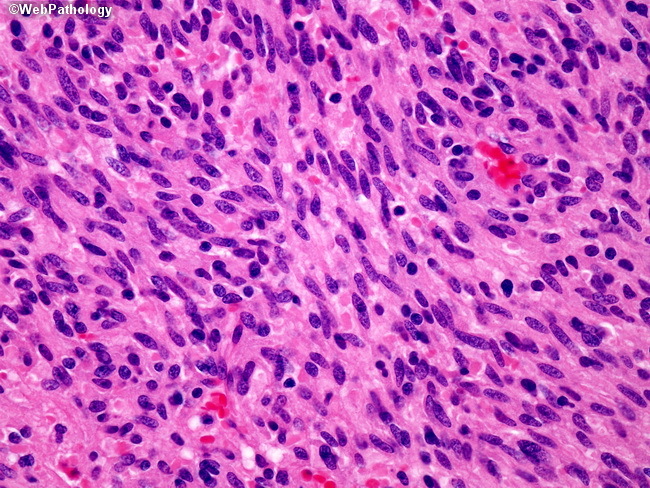 This tumor is hypercellular, though the nuclei appear relatively bland. There is a noticeable lymphoplasmacytic infiltration, with rare mast cells as well. Vague fascicle formation is evident, though benign tumors have a more organoid growth pattern.